We offer exceptional and unforgettable experiences. Our concept is New Nordic Wellness - wilderness facilities in an urban setting. We use clean sea water and heat with firewood. 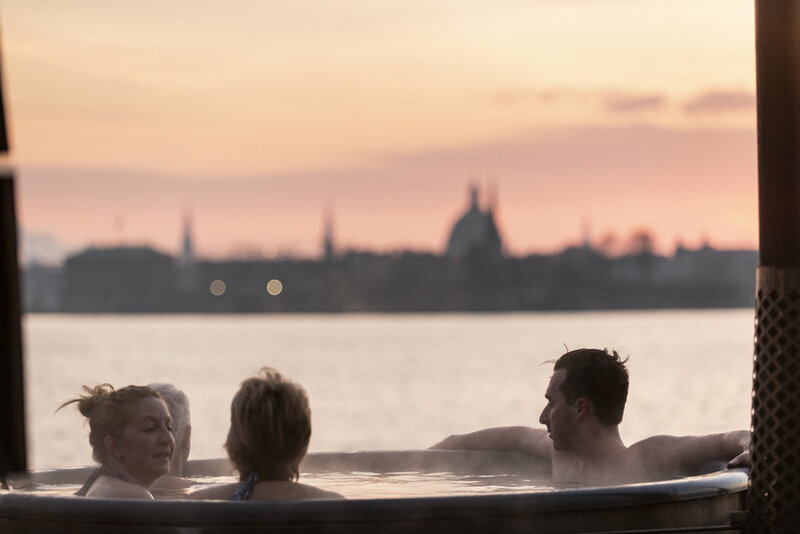 Our Stationary outdoor Spas and panoramic Sauna provide a stunning view of the harbour skyline. Sailing Spas are our unique service where your group cruise the northern harbour of Copenhagen in a hot tub boat.